Intelligence, Surveillance and Reconnaissance (ISR) is a priority theme of the Next Generation Technologies Fund aimed at achieving integrated ISR in near real time to support decision making. Through the Intelligent Decision Superiority research network, DST is seeking to leverage the wider science, technology and innovation capability in academia, industry and government research agencies to develop and demonstrate automated systems to analyse, fuse and understand large volumes of data and information to support decision superiority. Decision superiority requires us to make better decisions faster than an adversary. Automation is imperative to help analysts, operators and decision-makers deal with the overwhelming volume, velocity, variety and uncertain veracity of available ISR information. Today, much of this fusion and sense-making currently happens in the analyst’s head. If these processes are to be reliably automated, the meaning and uncertainty of the information must be available and amenable to automated reasoning, the automated reasoning system must be able to justify its conclusions to decision-makers, and it must be able to answer “why” questions. The research will be successful if it informs Defence on novel and emerging techniques aligned with the sub-theme areas and delivers a prototype system for demonstrating the utility of the research. Furthermore, the successful proposals will partner with DST to iteratively demonstrate the utility of the developed techniques within a Defence context. The Defence Science and Technology Group is seeking research proposals from Australian universities, government research agencies and industry in undertaking a research program in Autonomous Processing and Reasoning. Advances in content analytic techniques are required in order to better extract meaning from text, speech, image and video content, allowing for uncertainties and ambiguities, and express that meaning in a form amenable to automated reasoning. For example, research may be conducted in recognising activities, behaviours or relationships from unstructured content such as video imagery or text. Advances in Computer Vision techniques leveraging Machine Learning, Deep Learning, and Convolutional Neural Networks have brought a step-change in automated object detection and classification performance. The application of these techniques is increasing, however, reliable and automated object classification requires substantial and often prohibitive amounts of labelled training data. Furthermore, even in the presence of large amounts of training data where the broad classification of objects may be possible (e.g. car, bus, truck), automatically classifying sub-types of these classes is difficult. Proposals considering Computer Vision techniques should be focussed on: vastly reducing the need for large volumes of real-word training data for specific object classes from imagery; or developing new automated techniques for separating hard to separate object classes from imagery and/or video. Proposals that extract related information from two or more content types will be preferred, although advances in state of the art extraction techniques for a single source type – such as relationship extraction from text or images – will also be considered. Demonstration of automated reasoning about the extracted meaning will also be viewed favourably, as will the ability of the content extraction techniques to justify and explain their results. Object assessments: e.g. the locations and kinematics of vehicles or aircraft; the beliefs, intents and desires of an individual; or abnormal behaviours of individual entities. Situation assessments: e.g. spatial relationships between entities; more abstract relationships between individuals such as social influence; models of normality and the detection of situations that are out of the ordinary. Impact assessment: e.g. predictions of likely adversary courses of action and their potential impact; predicting the outbreak of civil unrest. We focus on two challenging aspects of automated information fusion to encourage game-changing research: combining low- and high-level fusion; and answering “why” questions. The dominant reference model for automated information fusion is the Joint Directors of Laboratory (JDL) model depicted in Figure 1 (see Lambert et al., 2015). Working at levels 0 and 1 of this model, the “low-level” data fusion community typically employs Bayesian approaches to identify and track objects from quantitative representations of the world, such as sensor measurements. At levels 2 and 3, the “high-level” fusion community employs symbolic representations of the world and logic to reason about real-world situations and future scenarios. There is a gulf between these communities in both their thinking and methods, corresponding roughly to the distinction between perception and cognition. Unifying methods and frameworks are required to bridge this gulf and progress the state of the art in automated multi-intelligence, multi-level information fusion. Figure 1. The JDL data fusion model showing low / high level distinctions and explanations. Research proposals addressing this aspect are strongly encouraged to form a multi-disciplinary team with experience across the JDL fusion spectrum, although single-discipline proposals will be considered. Of particular research interest is answering ‘why’ questions. These provide useful information for an analyst, but satisfactory answers may require sifting through comprehensive knowledge bases for pertinent information. For example, why is the object under surveillance where it currently is? The answer may be that a car is at a petrol station because it is being refuelled, a hypothesis supported by an estimate of the car’s range and knowledge of the distance travelled since it was last refuelled. A common problem is to explain not only what is happening in the world, but also how a system’s knowledge has been derived from its inputs. An information fusion engine needs to represent and reason about objects, situations and impacts in the real world, incorporating uncertainties and ambiguities. For a human to trust its conclusions and recommendations, the system must also explain how its knowledge has been derived from the information it has collected, transformed and fused. The domain of discourse for such introspective explanations is the machinery by which the fusion engine fuses information. Such machinery may include, for example, logic, neural networks, information extraction engines and tracking algorithms. Machine learning systems, in particular, typically do not articulate their reasoning or explain their conclusions to users very well, and this is especially true of systems that utilise deep learning (Gunning, 2016). Research proposals in Cognitive Information Fusion must address one or both of the challenges, taking into account uncertainties and ambiguities, and providing explanations of the outputs. Successful proposals will be initially funded for six months, with milestone reporting at three and six months which will include the delivery of a literature review and scoping study exploring the intended 2.5 year work package. The research should represent novel and forward looking approaches to multi-intelligence content analytics and/or cognitive information fusion at a low to moderate Technology Readiness Level (TRL). Outputs will be assessed at the six month milestone and the Commonwealth may choose to extend the research agreement by up to an additional 2 years (to a total of 2.5 years) based on the literature review and the scoping study. Successful proposals are expected to be funded up to $100,000 in the first six months, and up to $500,000 per year in subsequent years, depending on scale, complexity and risk. Funding limits expressed here are provided as guidance for responses and may not represent the final funding position of the Commonwealth. Outputs are expected to include regular milestone reporting (every three months) including software for demonstrating developed technologies. An outline of in-kind contribution from the participant and detail of any proposed co-funding. Demonstrated best-of-breed multi-disciplinary collaboration, including details of the multi-disciplinary team. The proposal is strongly encouraged to comprise members from different Universities, research agencies and/or Industry. A list of other funding sources and the nationalities of team members. Participants in this proposal will be subject to pre-screening, including: (a) verifying a person’s identity using the Document Verification Service; (b) confirming a person’s eligibility to work in Australia; (c) obtaining assurance of a person’s suitability to access Australian Government resources, including their agreement to comply with the government’s policies, standards, protocols and guidelines that safeguard resources from harm. At least one member of the proposed team will be required to apply for an NV1 security clearance to facilitate discussions over the life of the agreement relating to applied research outcomes and strategic research direction. DST will sponsor these clearance application(s). Unclassified research may commence while this/these clearance(s) are being sought. Value for money to the Commonwealth. DST will actively partner with the successful researchers on their proposed research topic over the life of the program. Submissions will be assessed by an expert panel that includes representation from DST. Defence reserves the right to fund all, some or none of the proposals received under this Call for Proposals. Lambert, Saulwick and Trentelman (2015), Consensus: a Comprehensive Solution to the Grand Challenges of Information Fusion, in Proceedings of the 18th Conference on Information Fusion. 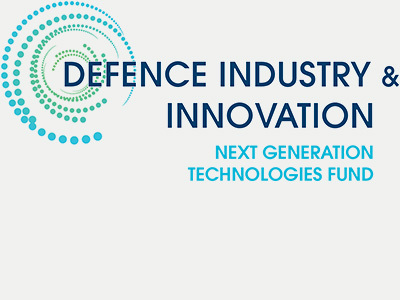 Research proposals are sought by the Commonwealth of Australia represented by the Defence Science and Technology Group (DST Group) of the Department of Defence (ABN 68 706 814 312). Deliverables shall include source code and data (both where applicable) that permit the reproduction of reported results. Research products (including source code) may be shared across international Government partners. Research outputs will be unclassified. The Defence Trade Controls Act 2012 controls the export of defence and strategic goods technologies, including their intangible supply such as by electronic means. It is not anticipated that there will be any limitations on conducting or reporting this research resulting from export control regulations; however compliance to the Act is mandatory. This EOI is for basic research at a sufficiently low TRL that it is unlikely to contain goods, software or technologies that are controlled. Proposals that appear to contravene national export control regulations will not be funded. Progress of research funded under this network will be subject to continuous review in order to ensure the research remains free of export control implications. a. All agreements between the Commonwealth and a potential Applicant University shall be entered into under the existing Defence Science Partnering (DSP) Deed. Costings for the work should be calculated accordingly (as per the DSP Costing Model as defined in Schedule 2 of the Defence Science Partnering Deed). b. Foreground IP ownership is to be consistent with a Standard Research Project in the Defence Science Partnering Deed (see DSP Research Agreement template for details). a. All agreements between the Commonwealth and an Industry shall be entered into under the Next Generation Technologies Fund Research Contract. b. Foreground IP ownership is to be consistent with the options available and agreed to within the Next Generation Technologies Fund Research Contract (see NGTF Research Contract template for details). Submissions must be lodged via web form by close of business on 21 December 2018. Submissions received after 5:30 pm ACST on that date may be excluded from consideration. In consideration of the Commonwealth undertaking to give fair consideration to and take into account the interested party with the other submissions received, but for no other consideration, all submitted documents in response to the EOI shall become the property of the Commonwealth. Where, however, on the basis of past unsatisfactory performance of contracts or any other relevant conduct of the proposer, the Commonwealth decides that the respondent is not a suitable respondent to be involved in government business, the interested party shall not be considered or taken into account with other submissions received and the submitted documents received shall be returned to the respondent. Applicants should be aware that the Freedom of Information Act (1982) gives members of the public right of access to official documents of the Commonwealth Government and its agencies. The Act extends as far as possible the right of the Australian community to access information (generally documents) in the possession of the Commonwealth Government, which may include Proposal, Tender, Contract and related documents limited only by exceptions and exemptions necessary for the protection of essential public interests and the private and business affairs of persons in respect of whom information is collected and held by Departments and public authorities. The Commonwealth of Australia is not committed contractually or in any way to those organisations that respond to this call for proposals. The issue of this call does not commit or otherwise oblige the Commonwealth of Australia to proceed with the proposed work.